Trace metal analysis is performed in order to identify and quantify very small amounts of metals and heavy metals in a sample. Although some trace metals found in food and other products are essential for our well-being, many can be toxic and have a negative impact on human, animal and plant health, as well as on the environment. Determination of trace metal content is necessary to ensure compliance with legal requirements and regulations. Furthermore it's used in quality control of products. In pharmaceutical, chemical and petrochemical industries trace metal analysis is used to identify metal contaminants in products such as drugs, soil fertilizers, cosmetics, packaging, medical devices, lubricants and catalysts. Trace metal analysis is also a valuable technique for assessing and improving chemical formulas and manufacturing processes in research environments, because of an influence metals may have on different chemical reactions. Determining very small quantities of potentially toxic elemental impurities such as lead (Pb), mercury (Hg), arsenic (As), cadmium (Cd), copper (Cu), nickel (Ni), zinc (Zn) etc. requires highly sensitive analytical equipment. The metals in a sample are typically measured in parts per million (ppm), parts per billion (ppb) or even parts per trillion (ppt), depending on the complexity of the sample (i.e. the sample matrix) and the analytical technique used. Common analytical methods used for trace metal analysis include atomic absorption spectroscopy (AAS), inductively coupled plasma optical emission spectroscopy (ICP-OES) and inductively coupled plasma mass spectrometry (ICP-MS). Trace metal analysis requires precisely and accurately prepared samples and reference standards to ensure accurate results. As analytical methods become increasingly more sensitive, sample and standard preparation becomes even more critical. In the trace metal analysis workflow, sample and standard preparation errors can account for the largest source of errors in the whole process. The balance used to weigh the samples as well as for the preparation of the calibration standards used in the trace metal analysis must meet the accuracy requirements of the application. The balance capacity and minimum weight are essential criteria for selection of the appropriate balance. Determining the safe weighing range of the balance is also of utmost importance to ensure the validity of the weighing results. A general overview of the trace metal analysis workflow is provided below. The details of the individual steps vary according to the particular metal element under investigation, the sample matrix, and the selected analytical method. It is important to refer to the specific details in the relevant standard methods. Almost all analytical methods require the preparation of a series of calibration reference standard solutions of varying concentrations. After putting the calibration solutions through the same analytical procedure as the sample, the results are plotted to produce a 'calibration curve'. This provides a basis for comparison of the results from the analysis of the sample. The reference standards used to create the calibration standard solutions must be highly pure and free from elemental impurities as this may influence the result of the trace metal analysis of the sample. 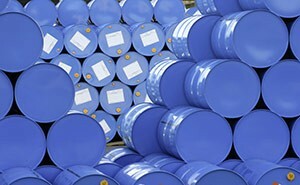 It is essential to use highly pure metals or chemicals to prepare the stock solution. Alternatively, high quality stock solutions can be purchased. Different metals require different preparation methods. Working standard solutions are prepared by diluting the stock solution with an appropriate solvent until the desired concentration is achieved, in accordance with the detection limits of the analyzing equipment. 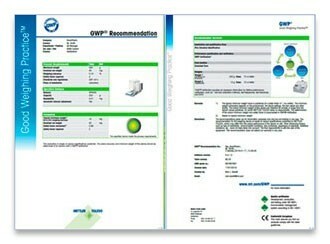 Depending on the stability of the stock solution, working standards are often prepared only as and when needed. When creating multi-element stock standard solutions, it is important to pay attention to the compatibility and stability of all the elements. The sample preparation method varies according to the sample matrix and the analytical method used. However, most trace metal analysis procedures require the sample to be in liquid form. 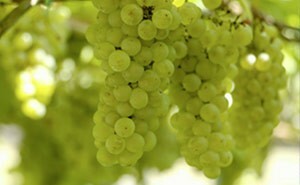 This may require sample treatment or digestion depending on the complexity of the sample, e.g. digestion by microwave method. Acid digestion is typically used to ensure the trace metal elements are completely dissolved. Depending on the analytical method, some sample solutions can be prepared directly without requiring preparation of a stock solution. The concentration needs to be suitable for the detection limits of the analytical equipment. It may require several runs to determine an appropriate dilution. Using the example of the Inductively Coupled Plasma (ICP) analytical method, metal atoms in the sample solution are converted to metal ions. The different metal ions are separated and detected using optical emission spectroscopy (ICP-OES) or by plasma mass spectrometry (ICP-MS). The ions detected in the analysis procedure are compared to the calibration curves enabling trace metals and heavy metals to be identified and quantified. 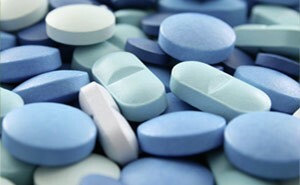 Due to their toxicity, trace metals can cause harm to the patient when ingested in a medicine as well as serve as a catalyst for the degradation of the drug. Analysis of trace metal content is therefore an essential quality control procedure in the manufacture of medicines and nutritional supplements as well as in clinical trials. Metals occur naturally in the environment in soil, water and the atmosphere, which is why they are also found in our food. Having some trace metals in our diets are essential for our health, but the accumulation of heavy metals in the body can lead to harmful effects over time. 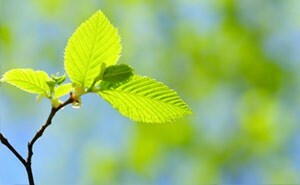 Testing for trace metals in the environment is important for the health of people, plants and animals as well as to ensure protection of the environment as a whole. National and international legislation set the limits for the maximum allowable concentrations of trace metals in the air, water and aquatic ecosystems. Information on trace element concentrations in petroleum and its derivatives is important both for technical diagnostics and for specific sample characteristics. Lubricant analysis is critical to identifying contamination and wear of metals. Regular analysis of trace metals produced by engines or equipment helps identify wear and deterioration conditions. If you are working according to a specific standard, the standard will define which analytical method to use. For example, determining trace metals in water and waste water using EPA Method 200.7 requires the use of an ICP-OES. 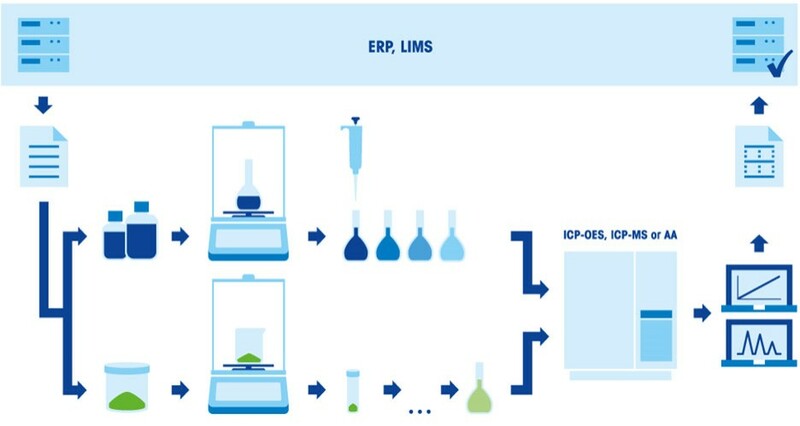 In a pharmaceutical laboratory, working according to the requirements of USP Chapters <232>, <233> or <2232>, an ICP-OES or ICP-MS is recommended. If it is not necessary for you to work according to an official standard, the most important decision criteria is the detection limit of the application. Furthermore, the needs of the application play a role in defining which analytical method is appropriate. Consideration should also be given to the complexity of your samples, the number of samples you want to measure per day and the limits of the concentration range of your samples. For determining trace metals in water and waste water using EPA Method 200.7 and 200.8, an "analytical balance, with capability to measure to 0.1 mg, for use in weighing solids, for preparing standards, and for determining dissolved solids in digests or extracts" is required. For other applications, the required detection limit of the metal in the sample is the most important factor which needs to be taken into consideration when selecting the right balance. 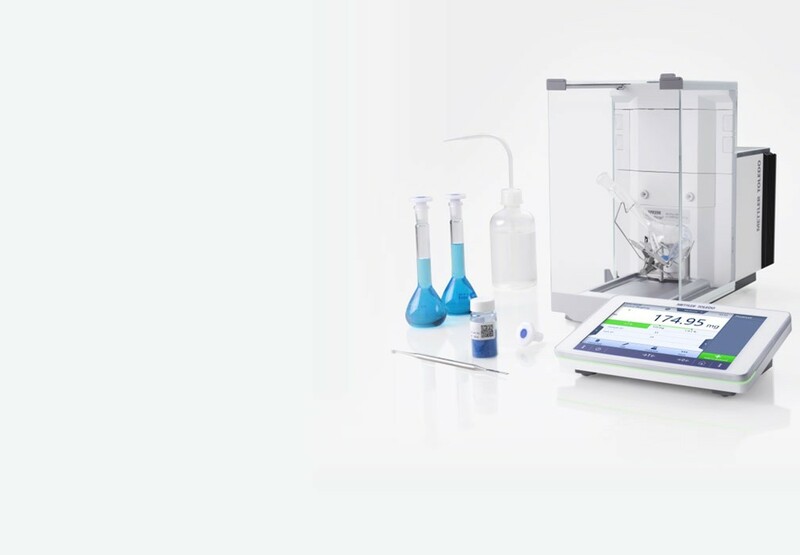 METTLER TOLEDO developed GWP®, Good Weighing Practice™, as a standardized scientific methodology for the secure selection, calibration and operation of weighing equipment. Trace metal analysis requires highly accurate sample solutions and calibration standard solutions to identify and quantify the metals present in the sample. If you need any further information on selecting the right balance to meet the needs of your application or want to be sure that your current balance meets your accuracy requirements, our team of experts is here to help. Please do not hesitate to contact us. Trace metal analysis results can easily become skewed if samples or equipment are contaminated. Cleanliness within the laboratory is therefore paramount and working in a clean-room environment is recommended. To avoid potential sources of contamination, all surfaces and equipment should be thoroughly cleaned. Electrostatic charge must be eliminated as this can attract air-borne sources of contamination as well as cause scattering of powders being dosed. Preparing samples under a laminar flow fume hood helps to minimize the risk of air-borne contamination but the airflow can make it difficult for a sensitive balance to settle. Even clean sample containers and dosing spatulas are potential sources of contamination. It is therefore important to try to minimize contact of the sample with other surfaces. Accurate weighing is essential to produce the precise concentrations required to ensure reliable results. Dilution of the sample and standard solutions is also a time consuming and error-prone activity, being dependent on the use of volumetric flasks and the subjective assessment of the meniscus. Companies and laboratories carrying out trace metal analysis often have to handle large numbers of samples per day. The highly sensitive analytical procedure requires skilled laboratory analysts who are often under pressure to complete analyses as quickly as possible to satisfy the demands of their customers. XPR analytical balances are the perfect choice for challenging weighing applications that require exceptional accuracy. Dosing directly into your sample container substantially reduces contamination risks, eliminates transfer errors and enables fast dosing processes. The optional ErgoClip Flask holds your volumetric flask in the precisely the right position for one-step dosing. Cleaning of the instrument is easy: The full draft shield and weighing pan dismantle in seconds, and the tray underneath simply slides out. No tools are needed and all parts are dishwasher-safe for fast and efficient cleaning. Touchless operation further helps to minimize the risk of contamination. Containers and samples, particularly powders, are prone to becoming electrostatically charged through normal handling. StaticDetect™ measures the weighing error due to electrostatic charging and provides a warning if tolerances are exceeded. In combination with the optional ionizer, you have a unique solution that guarantees static-free weighing. The SmartGrid hanging weighing pan minimizes the influence of air currents on the weighing cell enabling the balance to settle faster in the more challenging weighing conditions of a fume hood. With increasing pressure to improve throughput and reduce costs, weighing automation and right-first-time solutions can help you meet your targets. We offer you a wide range of solutions to simplify weighing workflows and ensure efficient processes. Save your customized weighing application directly on the balance. With easy access to start the application from the method library, every analyst follows the same procedure. Multiple connectivity options (USB, Ethernet), enable weighing results to be transferred digitally to your existing information system. Metals testing is important for ensuring human and environmental health. Legislation sets limits on the maximum allowable concentrations of trace metals in the air, water, and food etc. Preparation of reference standards is a critical step in the analysis and is responsible for the largest sources of errors in the whole procedure. 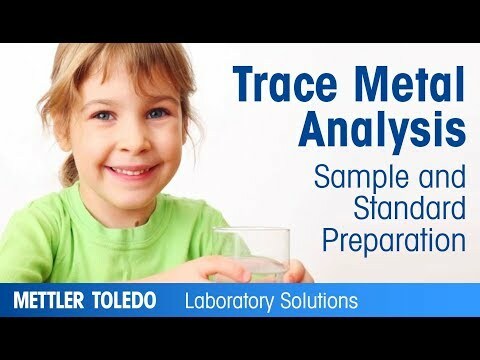 Watch the video and see how METTLER TOLEDO Excellence Level analytical balances can help you prepare accurate stock standard solutions. Weighing is just one step in your laboratory process, but it can have a big impact on the outcome and quality of the final results. Safe weighing ensures your weighing results are reliable. Why all this is necessary to determine the safe weighing range of your balance. Download the Guide to Balance Cleaning! Tailored solutions, quality assurance functions and up to 6 decimal places ensure accurate, right-first-time results. Rely on LabX for data integrity. We are looking for a way to try to reduce the number of errors we get in our ICP analyses. Although we work under a laminar flow fume hood, we are suspecting sample contamination due to the nature of the errors. Can you advise? Minimizing contamination at all steps in the process is key to successful trace metal analysis. All surfaces that samples and references standards come into contact with are potential sources of contamination. Ensure laboratory analysts follow clean-room rules, and that all equipment and surfaces are clean and dried thoroughly prior to use. Using an XPR analytical balance with the ErgoClip Flask accessory enables you to dose directly into your Erlenmeyer flask, eliminating several steps in the weighing process which could be sources of contamination. Many of our samples and standards are in powder form. During dosing, we notice that some of the powder gets scattered over the balance. Is this because of static electricity? And, if so, what can we do about it? When powders get scattered over your balance, this provides a strong indication that the powder and/or your sample containers have become electrostatically charged. You may also notice that the balance takes longer to settle or the figures may drift. For a comprehensive static detection and elimination system, the optional ionizing module can be installed on your XPR analytical balance. The StaticDetect™ function calculates the weighing error due to any electrostatic charges present and provides you with a warning if the error exceeds pre-define tolerances. The ionizer can be set to work automatically to remove the charge in just a few seconds. If space allows, a freestanding ionizing unit can also be placed next to your balance. Simply pass your samples and container through the unit before placing on the balance. 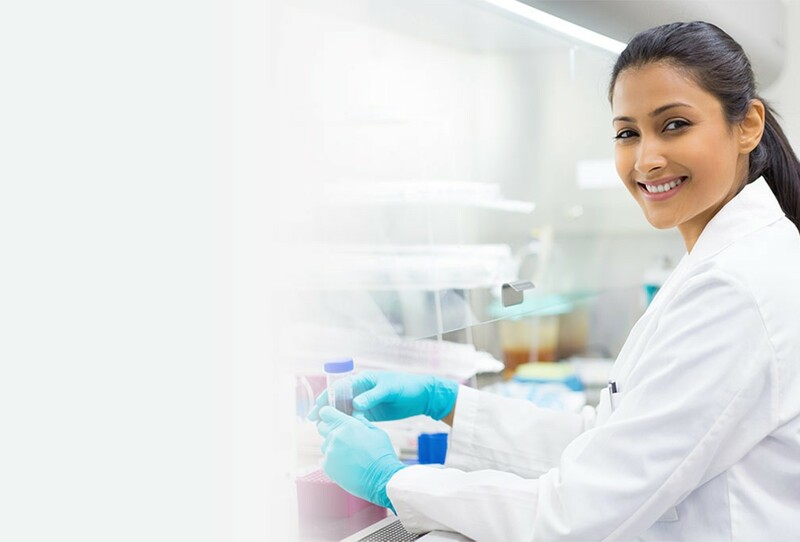 Make sure you also take other practical precautions in your lab by wearing the appropriate clothes and shoes as well as an antistatic wristband. Increasing relative humidity also helps to prevent the build-up of electrostatic charge. We are a testing lab and handle a large number of samples every day for trace metal analysis. How can we speed up sample and standard preparation so we can be more productive? By attaching an ErgoClip container holder accessory to your XPR balance, you can dose directly into your sample container or flask. This one-step dosing eliminates the multiple steps that are involved with sample transfer, including tedious and error-prone back-weighing and recalculations. With outstanding weighing performance, XPR analytical balances offer fast settling times too. It easy to connect a printer to your XPR balance so you no longer need to spend time writing results or labels – and you eliminate transcription errors. Our trace metal analysis SOP specifies that we must document all the information on the standards and samples as well as the results of the analyses. We also have to transfer them to the database on our LIMS/ERP system. We do several analyses per day so it takes a lot of time and effort and it's easy to make mistakes. Is there an easier way? 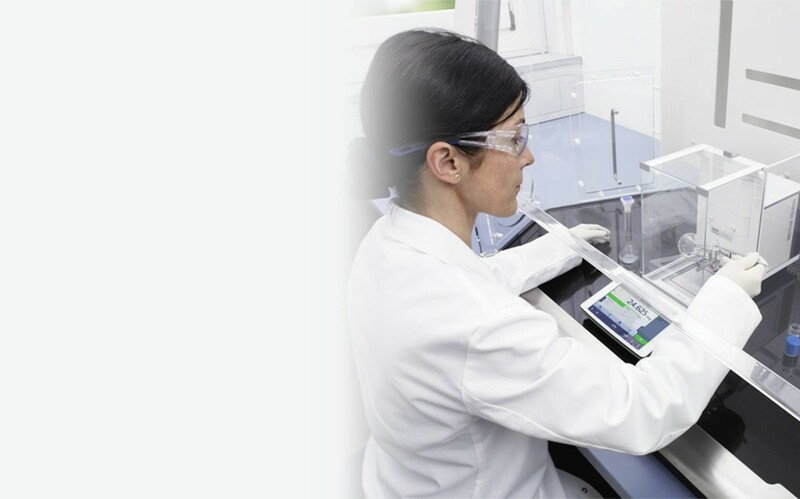 By connecting your XPR analytical balance to LabX software, all your weighing data and related process information can be handled automatically by LabX. LabX provides onscreen user guidance and saves all information in a secure centralized database ensuring full traceability. LabX is easily integrated with your company's information management system enabling bi-directional data transfer. With LabX, manual documentation and the associated transcription errors are eliminated. In addition, tasks, users and instruments can all be managed centrally. For our trace metal analyses, we have to prepare many different the stock sample and standard solutions. The dilutions take time and we are sure that there is a high risk for error in this process. The sample is often not very stable so we also have to dispose of much of the sample solution before it gets used. How can we increase accuracy and reduce waste? 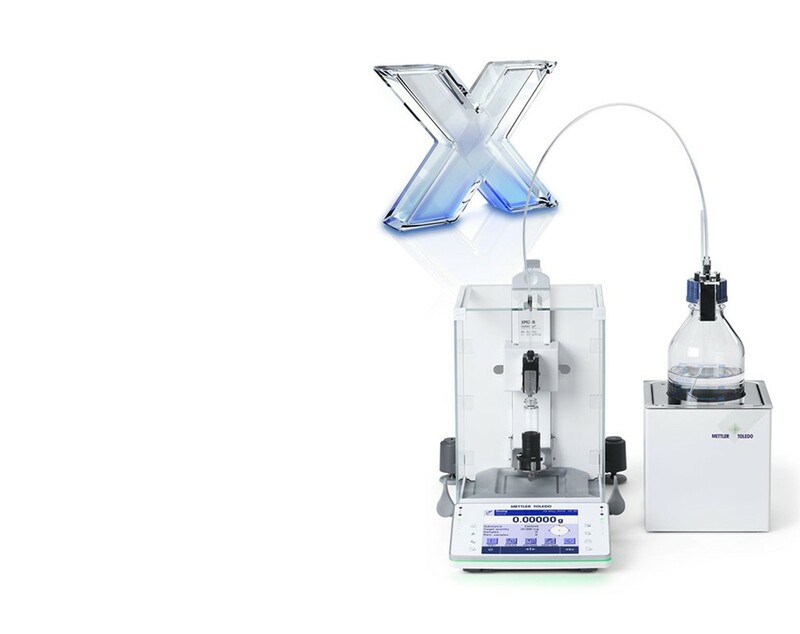 Using the automated liquid dispensing module with your XPR analytical balance gives you accurate concentrations every time. The system works by adding precisely the correct amount of solvent based on the actual dosed amount of substance to achieve the desired concentration. The same principle applies for dilution; dilution series can also be prepared faster and easier.